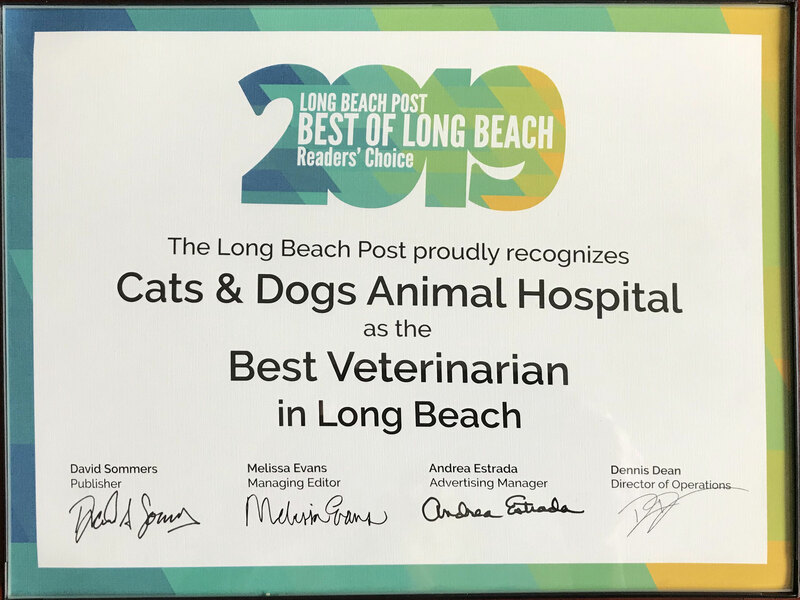 Cats & Dogs Animal Hospital in Long Beach is a full-service, small animal veterinary hospital providing comprehensive medical, surgical and dental care for your furry, feathered or scaled friend. And, don’t let the name fool you… we see avian and exotic pets, too. We provide services unique to Long Beach veterinary clinics, such as Mobile Service and Veterinary Acupuncture. Free delivery every Wednesday afternoon for medication and food. We are also available for house calls. Call for more information. The operator of Cats and Dogs Animal Hospital, Dr. Greg Perrault attended Michigan State University College of Veterinary Medicine where he earned his doctorate degree. Dr. Perrault is a member of the Association of Reptile and Amphibian Veterinarians, the Association of Avian Veterinarians and the California Veterinary Association. Earning her veterinary degree from Ohio State University, Dr. Smith is a member of the CVMA, AAV, SCVMA, and AVMA as well as several nonprofit organizations. In her spare time, she volunteers for Dusty's Riders, a nonprofit agency involved in helping inner-city youths increase their confidence and self-esteem by learning how to ride and care for horses. After attending Florida's Chi Institute of Traditional Chinese Medicine, Dr. Abel obtained a veterinary acupuncturist certification and currently provides acupuncture treatment to pets at Cats and Dogs Animal Hospital. She earned her Doctor of Veterinary Medicine at Kansas State University and believes in holistic medicine, utilizing both acupuncture and herbs along with western medicine such as antibiotics and steroids when appropriate. Dr. Truong is a Southern California native whose parents immigrated from Vietnam in the mid-1970s. She is the youngest of three children and had a fascination with animals since she was a little girl. Her childhood was filled with pets of all sorts such as dogs, cats, rabbits, an iguana, tortoises, and various birds just to name a few! Dr. Truong completed her undergraduate degree from the University of California, Santa Barbara and earned her Doctor of Veterinary Medicine from The Western University College of Veterinary Medicine. Dr. Truong also completed a small animal clinical internship at Southern California Veterinary Specialty Hospital in Irvine. Our mobile vet services are one of our most popular services available to pet owners who cannot find a way to our animal hospital. We can give pet wellness exams, blood testing, euthanasia, and nursing treatment at your location if needed. In addition to basic veterinary services, we also provide therapeutic/diagnostic/radiology services, surgical procedures ranging from spay/neuter and tumor removal to emergency surgery for pets suffering trauma. Pet dentistry (cleaning and polishing, oral surgery), microchipping and dietary counseling are even more services available at our animal hospital in Long Beach . If your pet needs nuclear medicine services, CT scans or MRIs, we work closely with specialists knowledgeable in the field of advanced diagnostics to complete these services as quickly as possible. Our in-house laboratory complements our diagnostic services by providing rapid results from parasite, urinalysis, serology, hematology, and serum chemistry tests. Additionally, pet owners do not need to shop around for top quality flea products, pet vitamins, shampoos, pharmaceuticals or heartworm medications since we maintain an extensive inventory of these products. To learn more about our many services or to schedule an appointment with one of our Long Beach veterinarians today, please contact us at 562-439-4228. Please call us to schedule your pets appointment today! Walk-ins are welcome, however, we encourage all clients to make an appointment, when possible, to avoid longer than usual wait times. Drop off exams are available and must be scheduled. Please call the office for details. Mobile services are available. 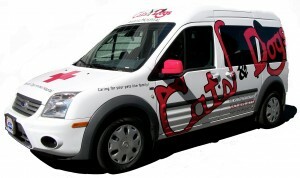 If you can’t come to Cats & Dogs Animal Hospital, let us come to you. We provide in home services, including examinations, testing, nursing treatment, and euthanasia. Call for availability and details. Dr. Brianna Abel is a traditionally trained veterinarian and a Certified Veterinary Acupuncturist by way of the Chi Institute of Traditional Chinese Medicine in Florida. Please call Cats and Dogs Animal Hospital with any questions you may have and schedule your consultation today. "Dr. Perrault's knowledge and the compassion of all your staff made a difficult time much easier to endure."